East Side United! Feeder Ride to CicLAvia with OPC, MBC, ESBC, & CCC – O.V.A.S. 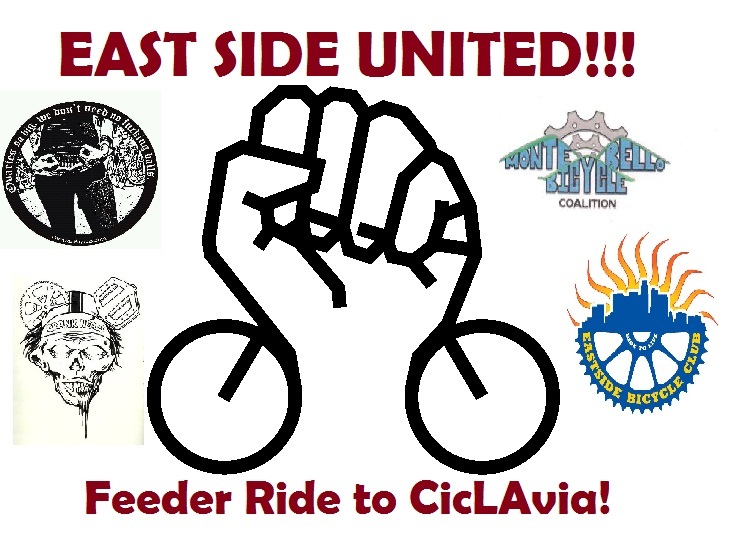 Come and join the east side on a feeder ride to CicLAvia! Come and join OPC, MBC, CCC & ESBC on a feeder ride to CicLAvia this Sunday. We will be meeting up at “Parque De Mexico” at 9am and rolling out at 9:30! Mission Statement: We are an all female bicycle brigade/collective cycling for the purpose of healing our communities physically, emotionally, and spiritually by addressing pertinent issues. Vision Statement: We envision a world where womyn of color are change agents who create and maintain holistic health within themselves and their respective communities for present and future generations. Next PostNext Read all about it! Ovarian Psycos featured in LA OPINIÓN!